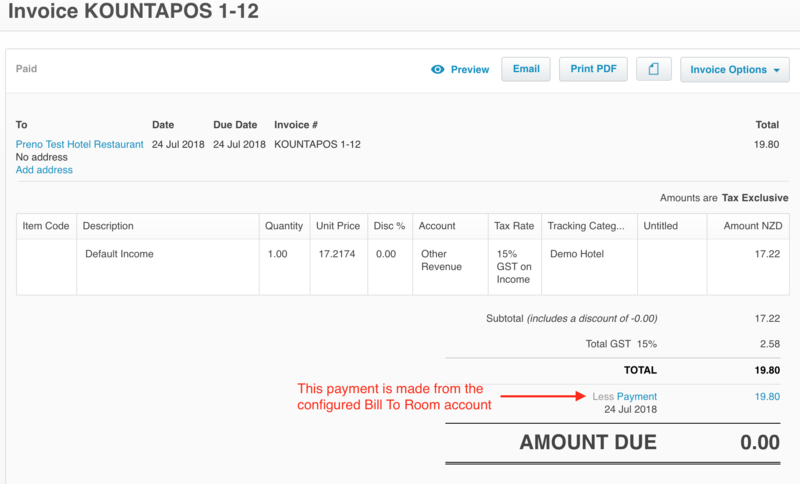 Both Kounta and Xero have comprehensive integrations to Xero to ensure that all of your revenue is correctly accounted for. 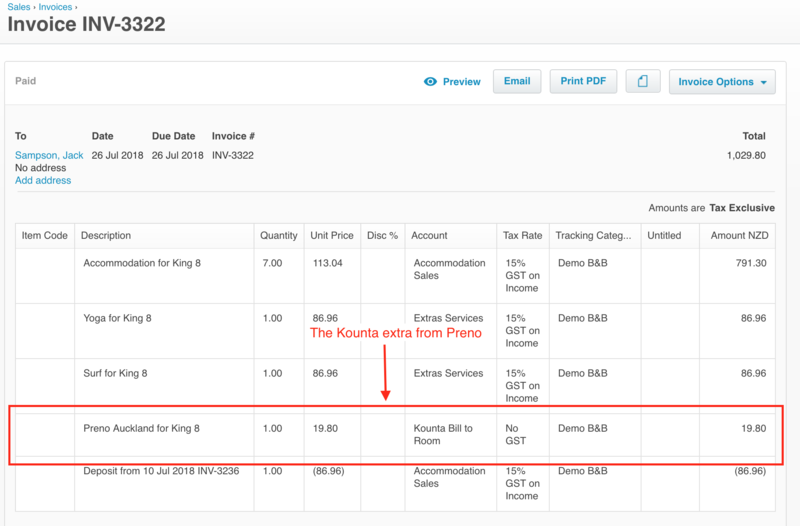 Some charges exist in both Preno and Kounta, though, so they'll end up reported twice in Xero. 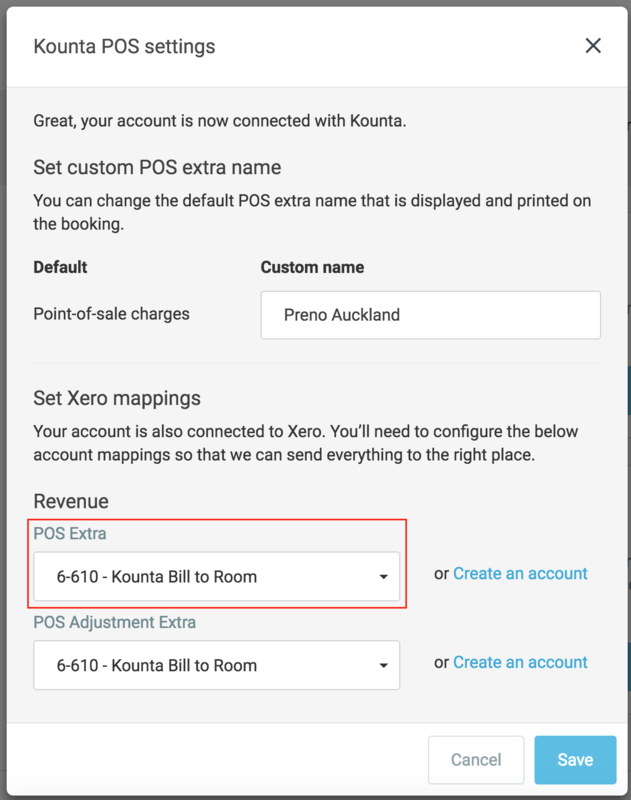 By configuring both Preno and Kounta to use the same Xero account for Bill To Room transactions, you'll prevent this from being a problem. Payments need to be enabled on this account, because Kounta will use it to pay for the Bill to Room orders. The same account should be used in Preno, by going to Settings > Integrations, and then clicking on the Kounta settings. Once the guest checks out and the revenue is sent from Preno, we'll send a credit to that account to offset what Kounta sent through. The two Bill To Room transactions cancel each other out. 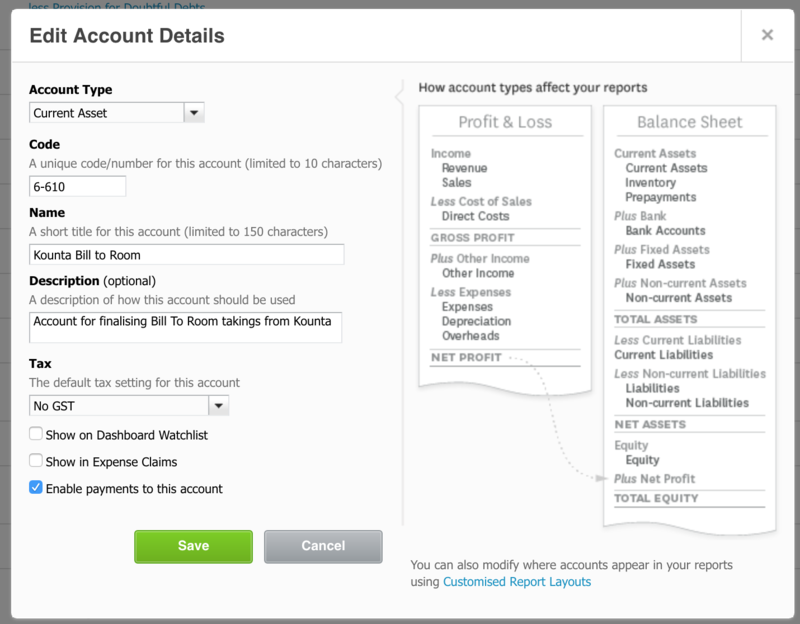 Once all of the charges from both systems are sent to Xero, the balance on that account will be 0.